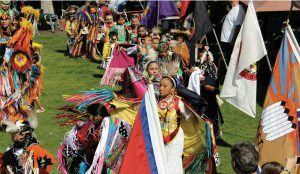 Rain or Shine, the CSULB American Indian community, alumni, staff, students, faculty and the general public who make up the six-thousand visitors who attend our annual celebration of Native American Culture at “the Beach” this year on March 9 & 10, 2019 at the 49th Long Beach Pow Wow at Puvungna. 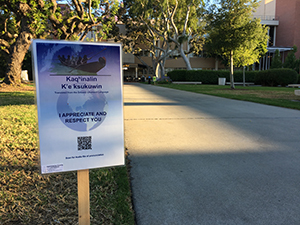 To reaffirm our appreciation and respect for all languages spoken at CSULB, we created a “Linguistic Landscaping project,” that uses language in virtual and real public space on campus. This is the first project of, The Puvungna Arts Empathy Production Project. An ongoing project that focuses on ways to foster “empathy production” that grew out of the recommendations of the Report on the Advancement of Ethnic Studies in the CSU. 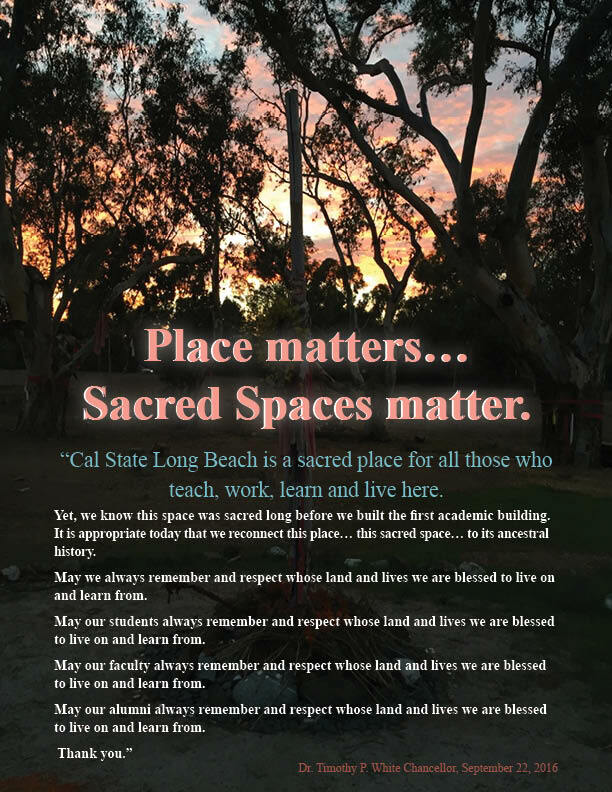 Translated by AIS faculty member, Judge Deborah Sanchez, this sound file is the first of many files and videos translating the phrase, I appreciate and respect you, into the languages that are spoken by members of the CSULB community. 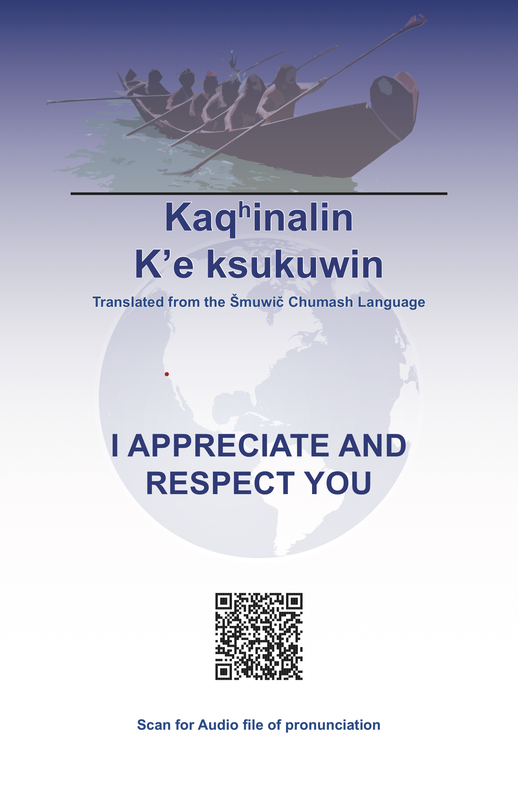 Signs are placed on campus with a QR code that one is able to scan with your phone linking you to sound files and videos like the one above where you can hear the phrase pronounced in each language. The goal of the project is to encourage learning more about our own diversity on campus and to stimulate empathy for others in the process. To learn more about how you can participate in this project click the link below. Sign up here to receive notifications of news and events from AIS! 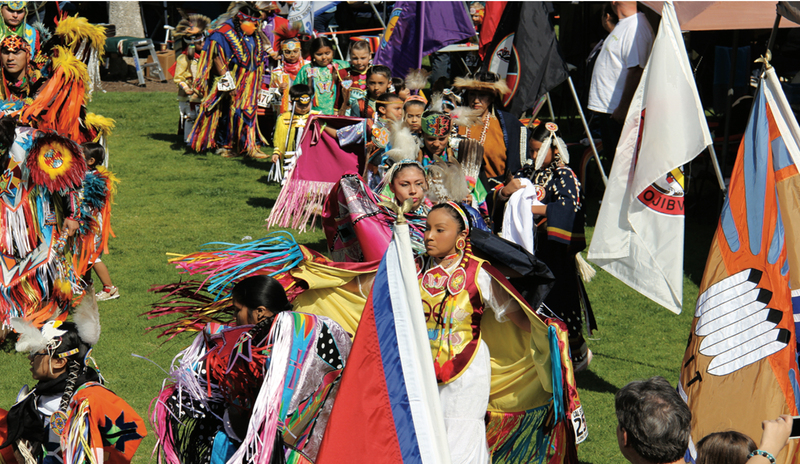 Save the date for the CSULB Annual Pow Wow, second weekend in March. 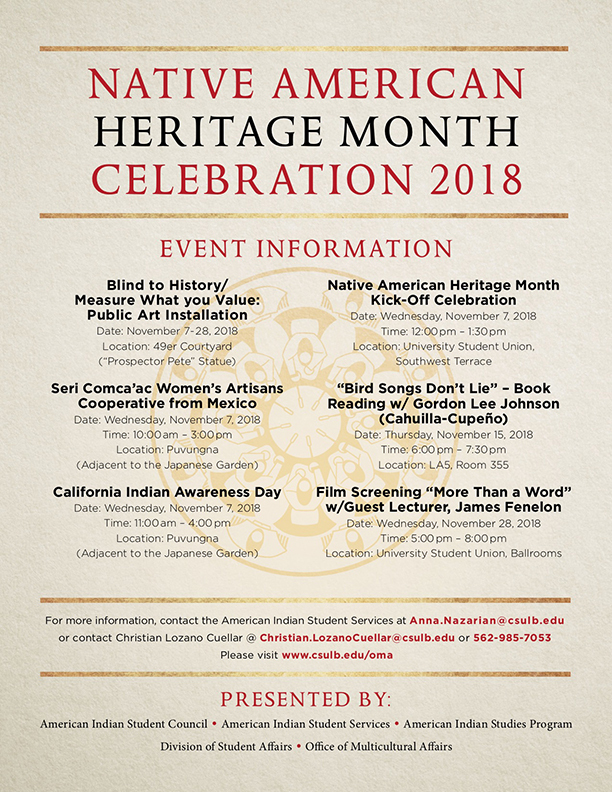 Come and celebrate with us at CSULB.